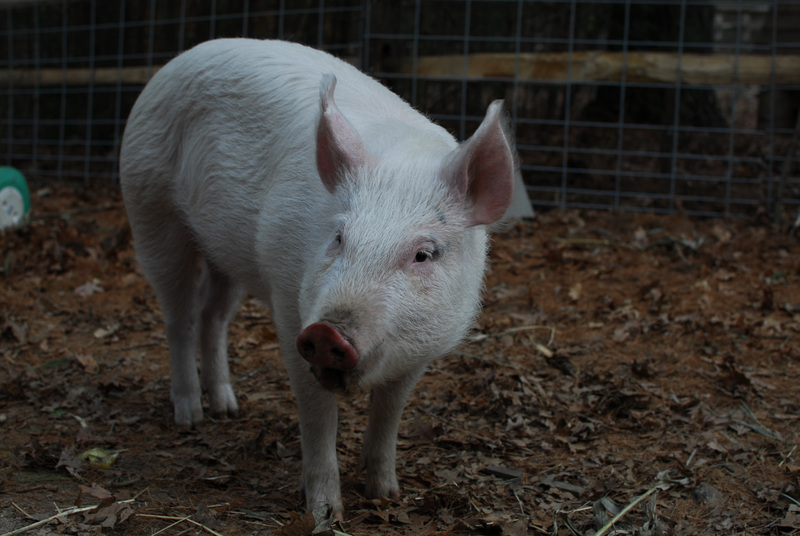 Willow, the new pig on the farm, is as adorable as her name! 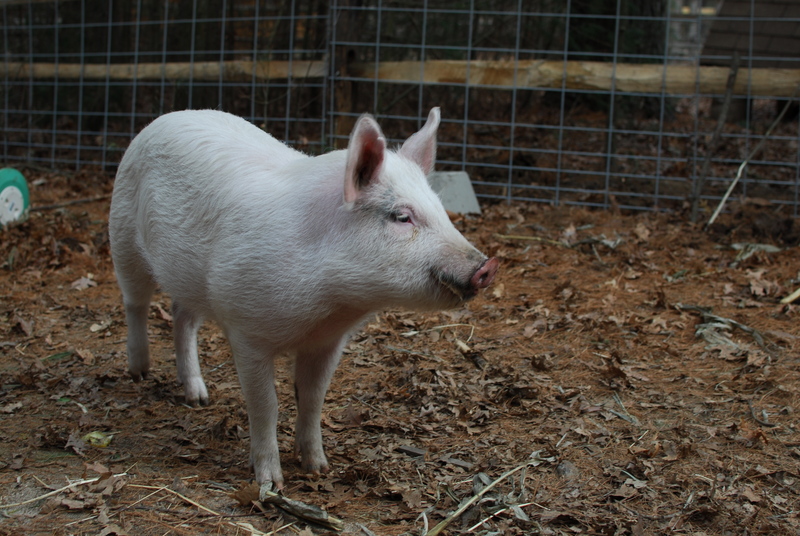 Willow, the adorable new pig at Winslow Farm was found on the side of 495 as a piglet. 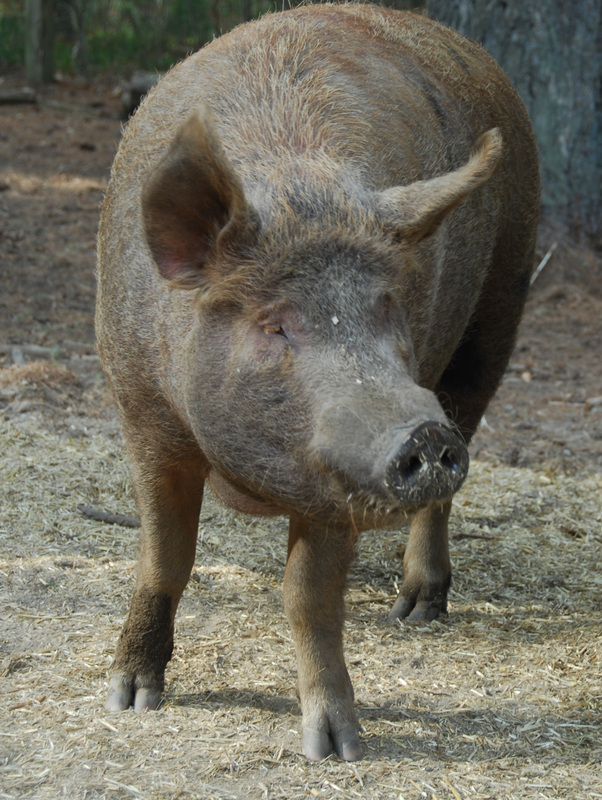 She probably fell off a truck and was destined to be a pig meant for consumption. 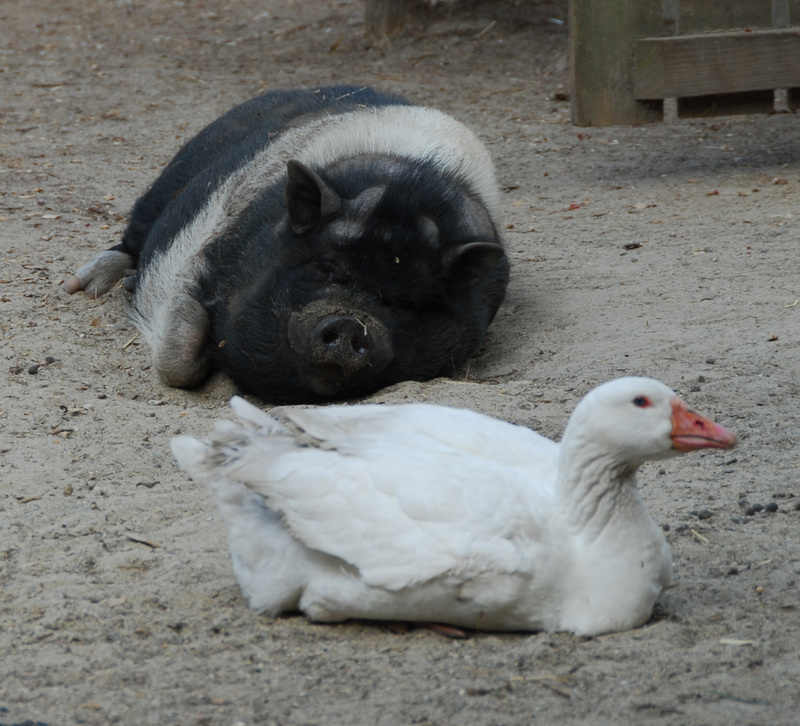 This would have meant she would have lived in horrible conditions as she waited for slaughter. Willow’s been living at the Animal League Shelter in Dedham while they looked for her owner (who never came forward) and then a potential adopter. She’s about six or seven months now and is about a quarter size that’s she’s going to be when she’s grown. She’s going to be bigger than Waterford who weighs about 800 pounds! She is super friendly. I went into her pen and she immediately came up to me. She made the cutest snortiest noises that you can hear here. 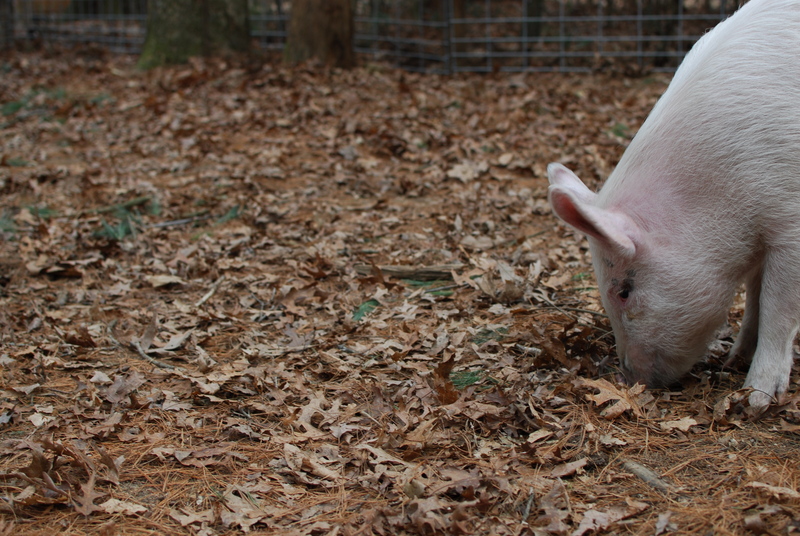 And she spent the entire time looking for food, most of which was spent with her nose firmly attached to the ground chomping away at whatever she could dig up. She also jumps up like a dog (which I discouraged but also found out after it means that she’s trying to mount me, so that was interesting). It was hard to get a clear shot of her since she spent the entire time I was with her rooting around for food. Look at that pretty smile! 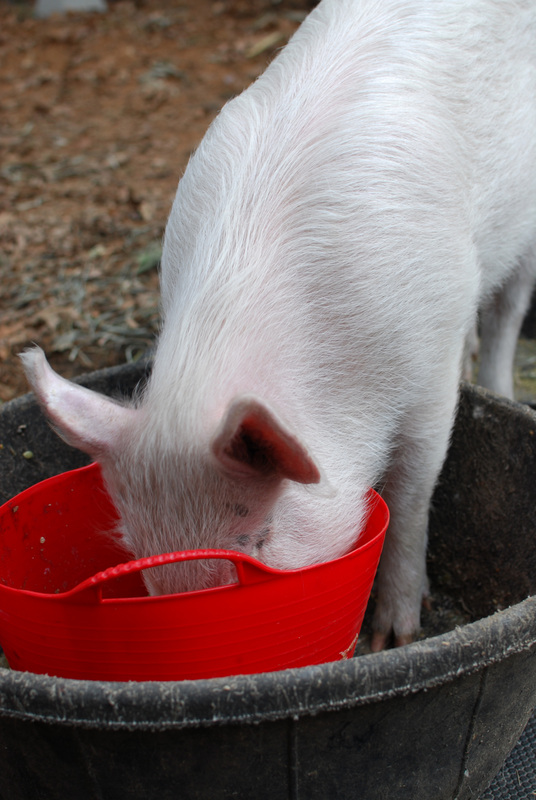 And because she spent the entire time looking for food, it’s only fitting to have a photo of her with her snout buried deep in a feed bucket. This is what Ms. Opie does every night after dinner. It takes just about forever for her to get comfortable. And yes, she gets under the blanket by herself. So cute! 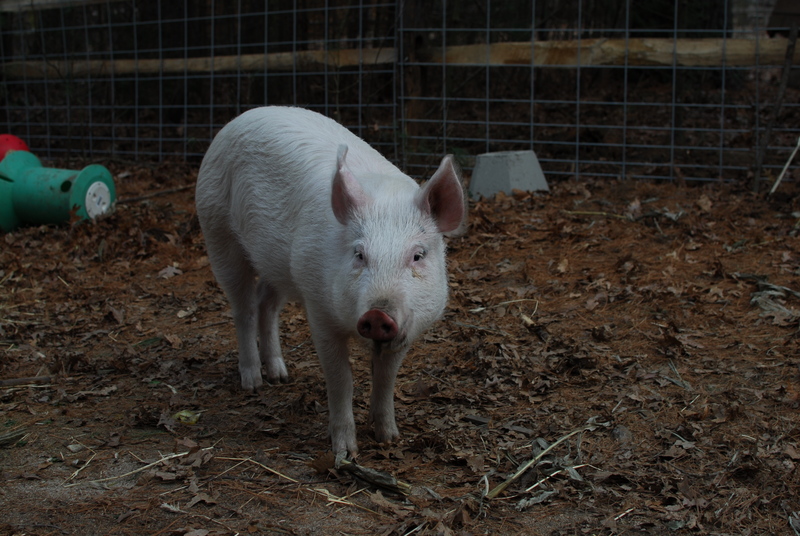 From the Farm ~ PIGGIES!!!! If you missed his video, check it out! 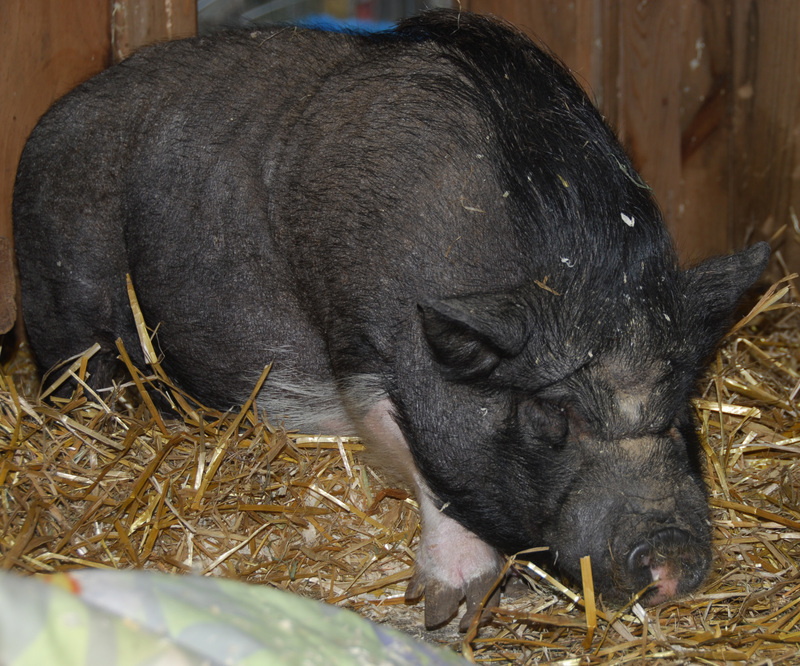 More on this lovely girl here and I will post a video of her snoring under the mentioned blanket soon. This guy has been stealing my heart for a while. Watty snorts his way through the day!